The Allahabad High Court held that non-payment of pension constitutes a continuing wrong, and delay and laches or limitation will not thwart the claim. The Division Bench set aside the order of Single Bench which had dismissed the Writ petition on the ground of latches. The High Court reiterated that no person shall be allowed to use personal identification names and marks on registration plates. Division Bench comprising of Chief Justice Dr. Dhananjaya Yeshwant Chandrachud and Justice YashwantVarma issued these orders in a PIL filed by Law students. Upholding the conviction of the accused in an Acid attack case, the Bombay High Court enhanced the sentence to life imprisonment. The Division Bench imposed a fine of Rupees Two lakhs which is to be paid to the victim as compensation. The High Court, expressed its displeasure about the slow pace of reconstruction of Court building at Mazgaon, which was evacuated overnight in 2013. The Bench comprising of Justices S. C. Dharmadhikari and G. S. Patel said that the State treats the requirements of Judiciary as if they are non-sovereign private requirements rather than institutional essentials. The Court sentenced a person for three months imprisonment for Contempt of Court by abusing, insulting, intimidating and threatening a Metropolitan Magistrate. The Division Bench also observed that the practice of sending letters to the Court, asking to recuse itself is not only depreciable but is also despicable and needs to be curtailed. 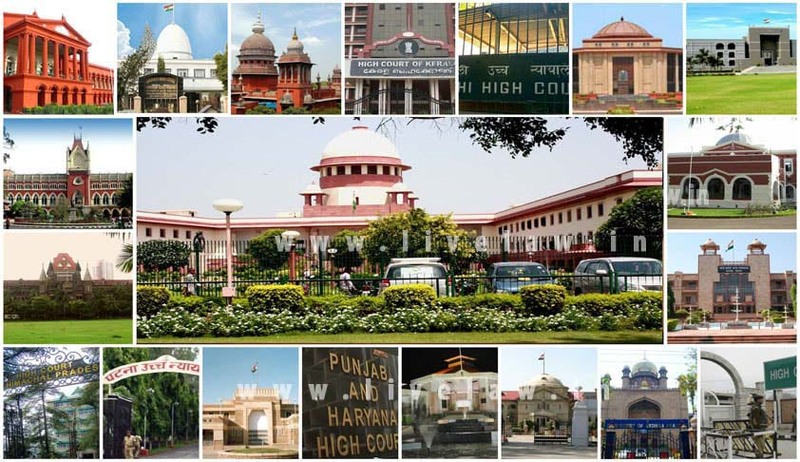 In a Writ Petition that came up challenging an order of the Central Information Commission (CIC) the Delhi High Court Single Bench directed Registry of the Central Information Commission to evolve a procedure by virtue of which applications for non-compliance of CIC orders are numbered and different applications are placed in separate files to avoid any confusion. A Division Bench of Delhi High Court on Monday upheld an order of the Telecom Regulatory Authority of India, mandating cellular operators to compensate subscribers for call drops from January 1, 2016. The Court, on Wednesday granted interim bail to JNU students union president Kanhaiya Kumar in the Sedition Case. The interim bail was allowed for Six Months by partly allowing the bail application filed by Mr.Kumar on 19th February 2016. Kanhaiya is directed to furnish bail bond of ₹10,000. The Court also directed that a faculty member from JNU should stand as Surety for his release. The High Court Bench sought the response of Election Commission in a Public Interest Petition filed by an Advocate, who is also a BJP leader to de-register the Communist Party of India (Marxist), a National Political Party. The Court observed that, irrespective of the merits of the matter, the Election Commission is bound to pass a reasoned order while rejecting the demand of the petitioner. High Court of Himachal Pradesh asked the state to provide a mechanism to waive off the loans of farmer at least to the extent of Rs.50, 000. Division Bench comprising of Justices Rajiv Sharma and Sureshwar Thakur made this observation while hearing a petition filed by Bhartiya Govansh Rakshan Sanverdhan Parishad. The Karnataka High Court allowed a wife, whose husband is not traceable, to apply for renewal of Mining Lease. The Division Bench held that when husband is not traceable, it is within the right of the wife to apply for renewal, inasmuch as the wife could not wait for seven years, as required under Section 108 of the Indian Evidence Act, 1872. The High Court of Kerala directed the State transport department and State police machinery to take stringent action against those persons who ply motor vehicles with customized modifications in violation of motor vehicle act/rules. The customized modifications pertain to the alteration of motor cycle parts like removal of silencers, mud guard and sari guard etc. The court observed that such removal in a bid to add glamour to the vehicle, possessed danger to the public, which the users are unmindful. The High Court recently laid down a dictum that a writ of Mandamus cannot be issued to the Union of India directing a foreign country to pay compensation.